Make Time for You. “Take 1 Minute out of your busy holiday time and give yourself the gift of 1 Minute exercise,” says Barbara Maffeo, Co-Owner and Instructor, Bodynbrain Yoga TaiChi. Click here to download the 1 Minute Change app to see how easy it is to get started. Keep Pets Safe. As you start to take decorations down, "make sure holly and mistletoe are out of reach of your pups,” says Brandon Filomeno, owner of Let’s Go Canine. “Both can cause sick bellies and mistletoe can lead to cardiovascular problems.” Just remember to snap a pic of your furry baby in their new year's finest! Start A Healthy Habit. 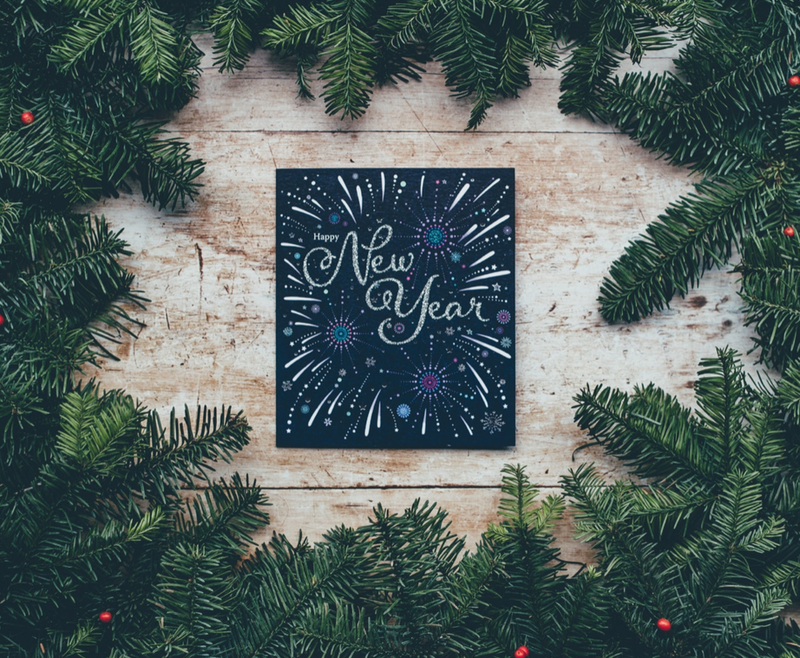 “Add flossing to your new year’s resolution,” says Dr. Joseph Beninato, DMD, Riverwalk Dental. “It only needs to be done once a day but it does a lot of good for your overall health.” And don’t forget to brush up on the latest looks—a sparkling smile is the ultimate accessory this season! Everyone here at Riverwalk wishes you a warm, wonderful season with friends and family and a new year filled with peace and prosperity!